Kershaw Folding Fillet. 7 1/4" closed lockback. Flexible AUS8A stainless blade. 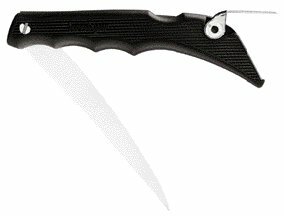 Black non-slip copolymer handle. Features foldout gutting spoon.